Since the turn of the century, we mine and drain a lot less resources per dollar of GDP. We spend a lot less of our total energy to make manufacturing basics like steel (the percentage has dropped, but we actually spent a lot more total energy to get the same amount of steel). We use a lot less materials to get more efficient tools, like the computer, which is much smaller than in the ’80s, but ridiculously more powerful. It’s also interesting to note that there were only about 2 million units sold of the iconic IBM PC, while 150 times as many Dell Studio laptops were sold. 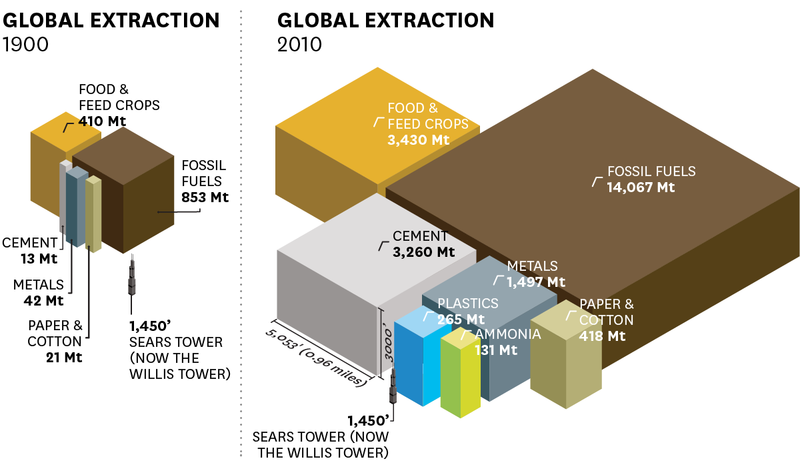 Unsurprisingly, despite increased efficiency, we consume lots more raw materials now than we did in 1900. Eight times as much, basically. what would our society look like if one of these materials were taken away, or if it were suddenly free? 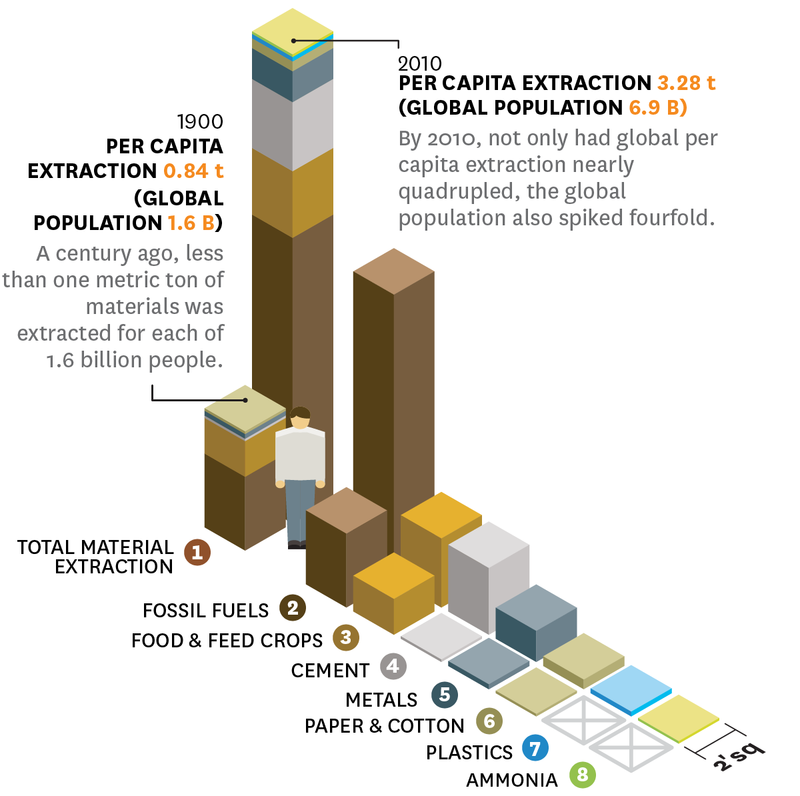 what could we do to make and use these materials more sustainably? who controls the production and distribution of these resources, and for what ends? how are these materials produced and managed in your game world? * China. 40% of global CO2 emissions are linked to the construction industry.